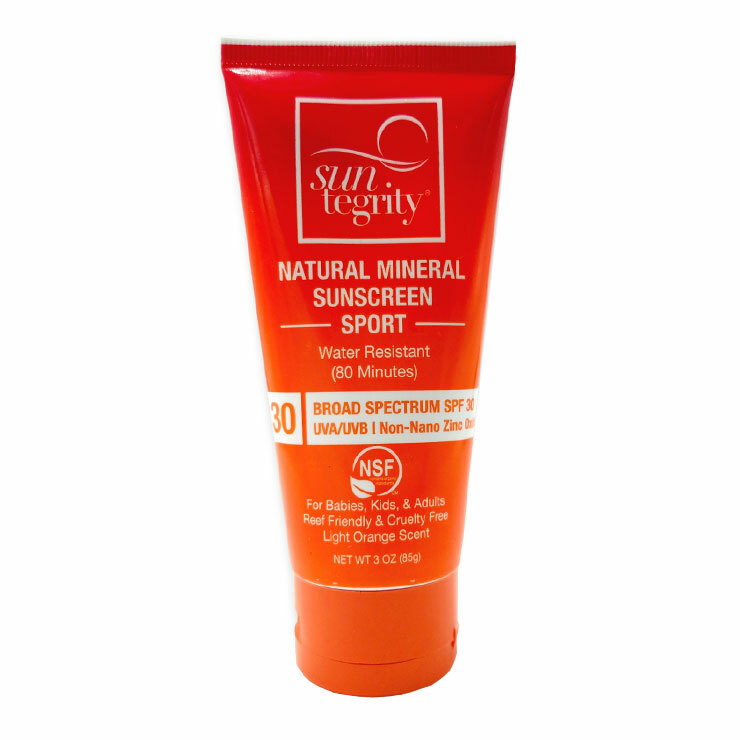 Suntegrity Skincare Sport Natural Mineral Sunscreen is effective sun protection with added benefits for skin. Formulated with 20% non-nano, uncoated zinc oxide, this broad spectrum SPF contains coconut oil and shea butter to make skin feel supremely moisturized and soft. Water resistant and designed with an active family in mind, the sunscreen has an orange hibiscus scent that is universally appealing. TSA-friendly and reef safe, this sun protection is a vacation favorite. Shake before applying as some natural separation is normal. 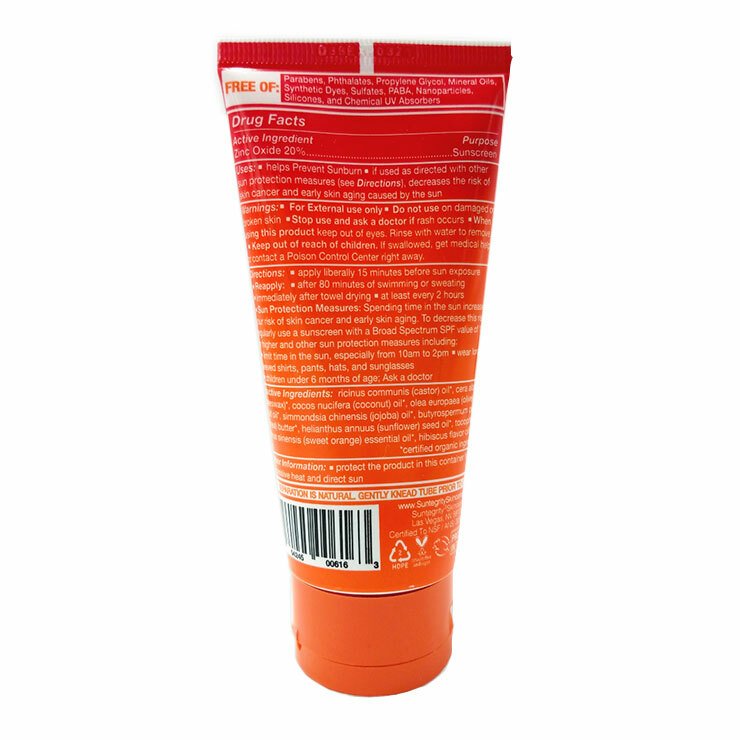 Apply evenly to entire body and reapply every 2 hours or after swimming or sweating.